A great friend asked me for advice on whether he should move to another country for living, as he felt stagnant in his locality. According to him the career prospect was a standstill he felt perhaps it was not too late to try somewhere else. Using astrology it is possible to find out the ideal location in the globe for one’s well being. The querent has to be clear on his purpose: does he want fame? Or love? Or a supportive family? 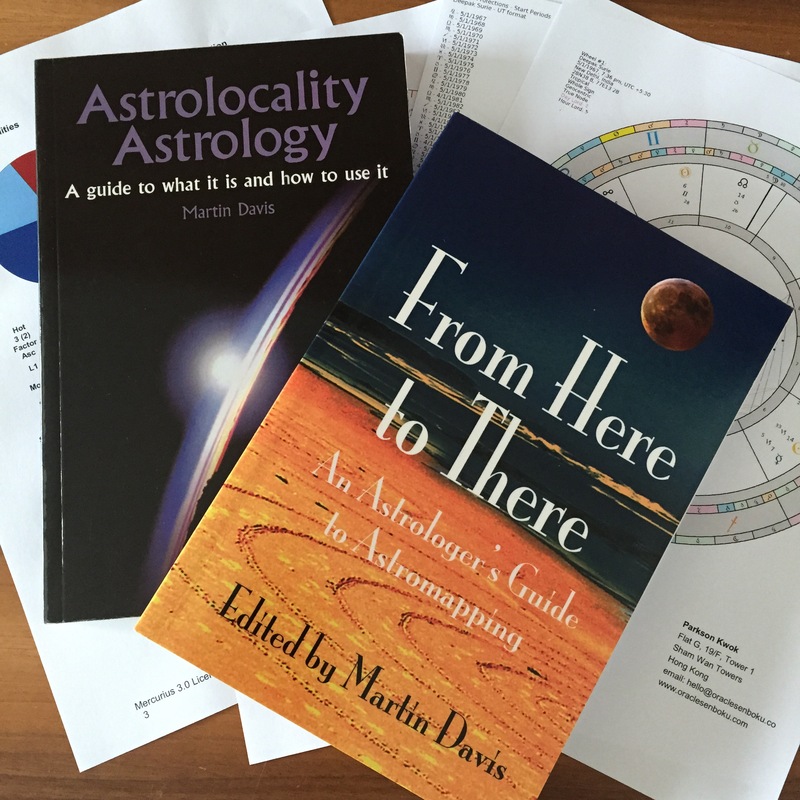 With the goal in mind an astrologer is able to provide professional opinion on where to live – given his training on AstroCartoGraphy. Truth was for a long time I haven’t been this kind of consultation. I looked through my client file the last time I did a consultation with this branch of astrology was back in 2009! In hindsight it could be the advent of information technology and e-commerce that made physical relocation semi-redundant. Lots of people worked from home with access to the world with their finger tips. To prepare for the reading I climbed up my book shelf to consult my astrology text books. It was indeed a good opportunity to revise and relearn. The techniques of AstroCartoGraphy are based on sound, traditional astrological and astronomical principles, yet they have become accessible only because of the support of modern computers. Traditional astrology has a time-oriented view. The natal chart is itself of a moment in time in which we look for timing of events using techniques such as profections, solar returns and transits – all time-oriented techniques. The space factor hasn’t played a big role because of the difficulties to convert longitude and lattitude by hand. Space factor is really what AstroCartoGraphy is about. The traditional natal chart is a pseudo sky map as viewed from the earth looking up into the sky; whereas an AstroCartoGraphy map begins with a sky view from beyond the planets, looking down upon the earth. The planets are superimposed exactly as they are over the earth. With this branch of astrology we can determine where or in what direction to move in order to accomplish our live goals. Questions like where will I meet my future husband, or where can I become an authoritative business figure can be answered by this form of astrology. My friend was considering to relocate to either Hanoi or Bangkok. I studied his AstroCartography map and realised that there were no angular planets shining above either of the cities. Then I looked up his natal chart, he was undergoing a 1st house profection time lord this year (a very strong year for him indeed). His 1st house is in Leo ruled by the Sun in his 6th house. The theme of this year is about his own intiation to fulfill his life which tied in with his health. He should be looking after his body, doing exercises and devising dietary plans to strengthen his immune system. If there is any obvious opportunity to move then his 9th house time lord has to be activated. I advised him that relocation was not in the picture. Since his temperament was not earthy, hopefully the information would help him make more pragmatic decisions. This entry was posted in astrology, Natal Astrology and tagged astrocartography, astrolocality, profection, relocation on September 5, 2015 by The Magician. Over a cup of tea Lady Anne asked me if she would ever conceive another child again. She and her husband had come to the verge of giving up after exhausting all the modern means. Lady Anne was my long old friend and I felt for her. Quickly I pulled out my magical iPad and fired up her birth chart to find out blessings of God. Thanks to modern technology! I could still remember all charts had to be done by hand calculation. Now they could be conjured up in a matter of minutes. How wonderful! Lady Anne was still young and ‘within range’ to conceive a child. If she were in her late 50s I would likely have answered no straight away. I studied her 5th house which ruled children. Her 5th house had Libra on the cusp, hurray! This was not one of the usual suspect of the barren signs. There were 3 barren signs in the zodiac: Gemini, Leo and Virgo. I would be less optimistic if any of those were on her 5th house cusp. Don’t worry if your Sun sign is any of those and you would like to conceive a child. The sun sign doesn’t mean anything in this respect. The 5th house ruler Venus was aspected by Mars by opposition. This was an affliction. 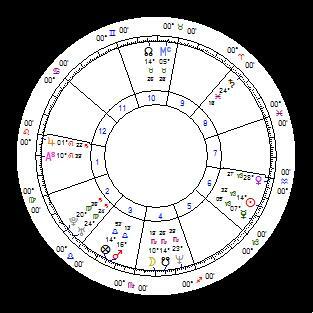 However Jupiter the great benefic also formed a nice trine with Venus. I could safely judge that she was very much fertile. And then I looked for the timing for it to happen. My favourite technique came from Hellenistic (Greek) astrology called Profection. Her natal Ascendant and the Moon would be profected to the 5th house on her next birthday. That was awesome! I told Lady Anne to hold on her efforts this year until her next birthday. This year her marriage was stressing out because of too much effort, I could see transit Saturn had just moved into her 7th house of marriage. Saturn gave her marriage a heavy sense of burden and responsibilities. Yet the transit would lose influence in time. There was no reason to lose hope. When there is a promise marked on the birth chart, it will be realised. The secret lies in its timing to happen. May the Forces be with Lady Anne. This entry was posted in Natal Astrology and tagged 5th house, gemini, leo, profection, Sun Sign, virgo on April 29, 2015 by The Magician.